My Five Senses is one of my favorite preschool lessons/themes because the children have so much fun while learning. I usually like to extend it at least two weeks, so we can focus on one sense at a time, and we always begin with the sense of touch. Since there are plenty of resources out there for related books andnprintables, this post focuses on a few quick hands-on activities. -Assorted objects and toys to be identified by the children (at least three items per child for multiple turns and level of difficulty based on the age of the group). Examples from photo above: puzzle piece, toy dinosaur, straw, spoon, comb, marker, rock, Lego, bean bag, cup, key, toy train, and magnifying glass. Note: We usually play this game during circle time, and children always want to repeat it another day with a new set of objects (plus a few from the first game just to give others a chance to identify them). It’s a game that can be used throughout the year just for fun after your Five Senses unit is over. -Taking turns, each child is blindfolded and reaches into the bag to pull out an object to identify only with his hands (sense of touch). -To help solidify the concept of senses, the teacher reminds children that we are only using our hands and sense of touch to guess the object. Note: The scents/photos I chose depicted items children would know and be able to identify. Examples I used: Italian seasoning blend to match a photo of a pizza; cinnamon/clove to match a photo of a gingerbread man (which we baked earlier in the year); onion powder to match photo of red onions on a salad; vanilla extract to match a photo of vanilla cookie; lemon juice/zest to match a photo of lemonade; and finally a little Dr. Bronner’s peppermint liquid soap (that we use in the classroom) to match the peppermint candy canes. -Drip a small amount of hot water over spices, so they will be wet and stay in place to prevent scattering or inhaling once opened. -Cover and place in refrigerator overnight – take out and place on counter in morning to be at room temperature for your guessing game. -Explain that you’ll be using only your sense of smell (nose) to guess the items. Show the children the photo cards and name them to allow them to get a sense of what they will be identifying. -One child at a time is blindfolded and the teacher shows the other children the photo/scent they will be guessing before opening the container and placing it under the child’s nose. Remind children beforehand not to say the word out loud, although this WILL happen. We just say, “oops, let’s pick another one,” and remind children again to not give any clues. We had six different scents, as our group has six children. -Once each child has had one turn demonstrated by the teacher, you can then ask the children to take turns holding the scented container under a friend’s nose. Participation by the children helps the waiting factor and increases the fun, as they are excited to help and find out what their friend will guess. Math Extension: Graphing favorite and least favorite scents. Is it salty, sweet, or sour? My group of preschoolers get excited about any type of experiment, so that’s what we called this taste test. We conducted our experiment at our usual snack time. After reading and talking about taste buds, we all took turns looking through magnfiying glasses at each other’s tongues. I explained that our taste buds would help us find out which food item would be salty, sweet, or sour. Can a food be more than one? Let’s find out! Some children dive right in to taste an item, but others make faces or say, “eww” to new foods. It is always their choice which items they want to try. I try to make it fun and exciting by asking who will be the first to try something sour and then ask them which one they think it will be? It continues this way until some items have been tasted and categorized. Variation: Same game, only using a few musical instruments (drum, xylophone, maracas, triangle, etc.) The blindfolded listener identifies the instrument. -Take turns Playing Pin the Tail on the Donkey (or variations: Pin the Nose on the Clown/Snowman) with blindfolds. After child has a blindfolded turn, try it without blindfold to experience the difference sight makes. Talk about how important your sense of sight is when attempting different tasks. Try other tasks blindfolded: build a tower with blocks; put a puzzle together; or color a picture. Also, how does their sense of touch come into play when they can’t see? -Discuss Braille and blindness during this unit (and after discussing the sense of touch). Request a book from the library that is written in Braille to allow children to close their eyes and feel the raised letters. “It’s the process, not the product.” This important statement is a well-known mantra of early childhood professionals. Process art is experimenting with a variety of mediums and exploring personal artistic expression for the pure joy and satisfaction of the experience. The purpose is not to produce a specific art work, but to learn the many ways that materials and colors blend together to make something new and unique. When it comes to art and young children, process art is the gold standard. Crafts, however, have an end result in mind. Using a set of directions, a model, and a few specific materials we hope to make a cute and identifiable craft product that is similar to the original. You can distinguish easily between the two by assessing how much preparation time the teacher has put into the activity. Did the teacher print, trace, and cut out components for children to color or glue together while following her preassembled model? Or did the teacher simply gather and provide the objects, paper and art materials needed for the children to sit and begin? The first is most definitely a craft, while the other is open ended process art. There’s always a debate raging about this topic, and it exists because learning is always the goal when working with children, and there’s so much more for them to learn and discover when an art experience is open ended. However, teachers often feel the pressure to send home cute kiddie crafts, as parents seem to really enjoy them. One problem with prescribed crafts is that they are teacher directed and not child led. There’s a lack of creativity and critical thinking skills being used by the child, which can result in a lack of engagement or boredom. Children may view the work as drudgery. The biggest problem is that children will compare their results to the teacher’s perfect example and be either extremely disappointed or frustrated by their own efforts. Worse yet, they will feel inferior and believe they are not “good at arts and crafts.” Some children won’t even attempt the activity, believing they can’t do it. Anyone who has suffered their own Pinterest fails can identify with this emotion. My perspective on the arts vs. crafts debate is that there is room for both process art and crafts in preschool. I agree that process art should be the main focus (about 75%), but a few crafts sprinkled in (25%) can be beneficial too. This being said, crafts for children should be chosen carefully and require them to practice the skills they need to learn — tracing, cutting, gluing, etc. However, this means the craft must be VERY simple with enough open-ended choices to satisfy little artists. For example, when we worked on paper tube owls last fall, children chose their own earthy-toned paint colors and decided which type and how many feathers to use. The model we followed had only two googly eyes glued on. I demonstrated how to bend the top edges down to create the look of ears. If we consider the theory of Multiple Intelligences, we recognize that all children (and adults for that matter) have individual gifts and challenges. One of my personal joys in teaching young children is discovering their special talents and interests. We all have something unique that makes us who we are. While I’ve always admired artistic people and their creations, my own skills are very limited. Not from lack of trying mind you, but facts are facts. Maybe I am the product of too many teacher-led crafts in my own youth, but I rarely can come up with an original artistic idea. However, I love when I see a cute craft project or pattern that I would like to try to duplicate. As a visual learner, I NEED a photo or actual model to copy. Often, I need written directions too. The notion occurred to me one day that maybe, like me, not all children are equipped with the artistic surge to create on their own? Maybe they needed a little inspiration to see what was possible? This is when I realized the value of including some craft projects in my preschool program. Once children see and experience what can be created with just some paper, glue, and feathers; the door might open to similar ideas and creativity in the future. Do I have to get a license to care for children in my home? -This varies significantly from state to state. Most states allow you to care for a certain number of children in your home (that are not your own) before requiring you to obtain a license. To find information specific to your state, initiate a search for child care licensing. In my state of Rhode Island, DCYF (RI Department of Children and Families) is the place to start. You can visit your state’s website or call to speak to someone. Terminology varies, but in RI, we are called Family Child Care Homes. Regulations for daycare centers in commercial locations are much stricter than those for Child Care Homes. Licensing for child care homes take into consideration that your home serves a dual purpose of providing shelter for your own family as well. -Usually, there will be some type of informational meeting or orientation you can sign up to attend. This will give you the basic information you need to decide if starting a family child care home is for you. Some states will offer required training. In RI, we took a 13-week course covering everything from literacy in early childhood programs to how to report suspected child abuse. If you have a background in early childhood education, much of this information will be familiar, however, you’ll benefit from the contacts and unexpected friendships that you’ll make. If you are new to providing child care, these classes will be a very beneficial introduction to the field of early education. If I don’t have a license, can I still claim my earnings and take advantage of business tax deductions? Surprisingly, yes you can. You would list your occupation as childcare provider on your tax forms. You can claim money received and legally deduct supplies and equipment purchased to provide care. You may also claim a partial amount of regular home expenses related to having a business in your home: mortgage or rent, utilities, and some home repairs for example. For more information on taxes and other financial topics related to child care businesses , visit this expert’s blog: Tom Copeland’s Taking Care of Business. What are the advantages of being licensed to care for children in my home? Other than increasing the number of children you can legally care for in your home, being a licensed child care home allows you to receive state funds for eligible children. You would be listed as a licensed provider with your state’s licensing department, and parents (including foster parents) who receive subsidies to help them pay for daycare costs would be able to enroll their children in your program and have the state pay you directly. This could increase the pool of families who would use your services. Licensed providers may have access to more resources than unlicensed providers. Some of the resources include: being eligible to apply for state grants, which can provide funds for educational materials and equipment; being able to participate in the state’s rating system for child care homes (an example in RI: Bright Stars); and being able to join a professional organization of other licensed providers in your state to receive training and support (an example here in RI: Family Child Care Homes of RI). 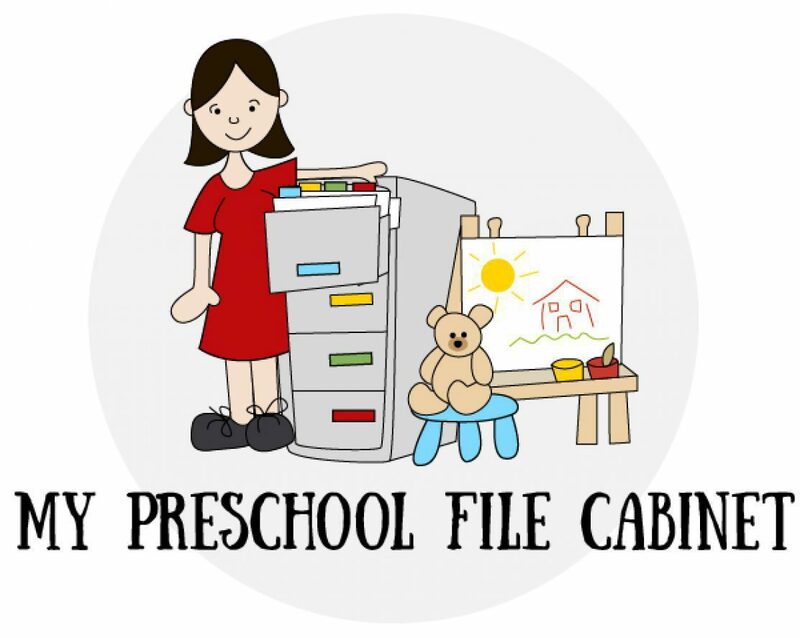 Once you find out the basic requirements and regulations in your state pertaining to owning and operating a home child care business, you will be ready to start planning for your business. If you have specific questions related to this first phase of deciding to become a home childcare provider, please ask and I’ll do my best to provide an answer for you!